Flanked on one side by the Bering sea and Pacific ocean and on the other side by the Okhotsk sea, the Kamtchatka peninsula is situated on the far North-Eastern side of Russia, facing Alaska. This strategic region is nearly as big as France, harbouring many secret military bases and was for a long time forbidden for foreigners to enter. Today it has opened up to foreigners and tourists who come to see the exceptional beauty of its scenery, it is known mostly for its uniquely high concentration of volcanoes, both extinct and active. Kamchatka is also the kingdom of brown bears and many differing species live in the taiga, tundra and high mountain climatic areas. Skiing in Kamtchatka means sliding down the virgin slopes of a volcano, skiing through a taiga covered in birch trees to finally reach a fjord at the edge of the Pacific.Here, every turn is a waking dream! Travel: up to 2 days is necessary to get to Petropavlosk.You should estimate 4 hours to fly from Paris to Moscow and then 9 hours between Moscow and Petropavlosk. Kamtchatka stretches over more than 1200 km from North to South…We will concentrate on the most southern part which is both more wild and varied.The hotel is in the valley of Paratunka, less than an hour’s drive from Petropavlosk.To ski, we will take off directly from the latter. The length of the flight to the skiing drop zones is therefore reduced and allows us to optimise helicopter flying time.A maximum of laps for a minimum of flying time. Arrival at Yelizovo airport in Petropavlosk (usually on Sunday morning).You will be greeted at the airport and transferred to the hotel by minibus (1h).After you have settled in your room, you will be welcomed by your guides and they will inform you about the programme. After an aperitif, you will be given your safety equipment and shown how it works. You will practise some fundamental safety exercises, including a transceiver search which you will do out in the snow. Dinner will be served at the hotel. Before each day, your guides will decide where to get dropped off and ski, depending on weather and snow conditions.Departure from the hotel at around 10 am. This day is planned for the return journey (generally Sunday). Transfers to the airport and international flights. Free access to all the hotel’s services (sauna, heated swimming pool, billiard table). Breakfast, picnics (with local specialities) and meals at the hotel. Private helicopter flights from the hotel. 30% of the total price upon signing up to the trip. The remaining 70% must be received 45 days before the departure without fail. Payment method: By cheque or bank transfer. 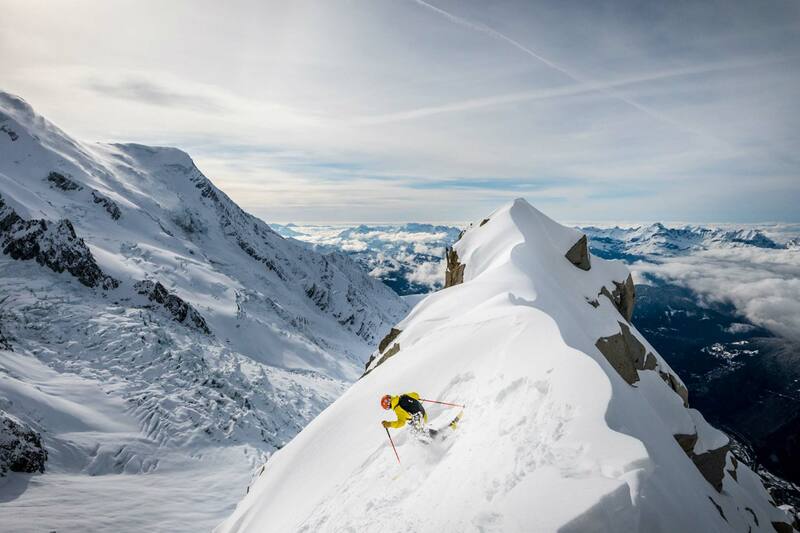 This programme requires a good skiing level in all kinds of snow and a good fitness level. Guiding:3 guides will be responsible for a maximum of 12 participants.Group size: Between 6 and 12 participants. The trip will be confirmed from 6 participants upwards. If less than 6 people sign up, you will be informed of the cancellation at least 21 days before the departure date. It is highly advised to have an individual public liability insurance and a comprehensive multi-risk insurance which covers any trip cancellation or interruption fees and the loss of any luggage.It is mandatory to have insurance which covers repatriation in the case of any illness or accident which may occur during the holiday. For this purpose, we offer the following contract………..(...% of the total amount of the trip) to which you may subscribe when you sign up. A copy of the general conditions of the guarantee will be sent to you along with the registration document.You can also subscribe to the following Insurance: “assurance recherche-rapatriement” with the FFME(fédération française de montagne et d’escalade” or the CAF (club alpin français) go to: www.clubalpin.com ou www.ffme.fr.Price of the insurance:Cancellation- repatriation- high mountain rescue:Only cancellation: If you do not wish to subscribe to our repatriation insurance, we kindly ask you to send us the details of your own insurance policy along with a liability waiver to fill in and sign before your departure.Please note: The repatriation insurance offered with your bank card (Visa Premier, Gold, Master Card) does not apply for journeys to an isolated region like Kamtchatka. However, they do cover cancellation fees if the total amount of the journey has been paid with the card.